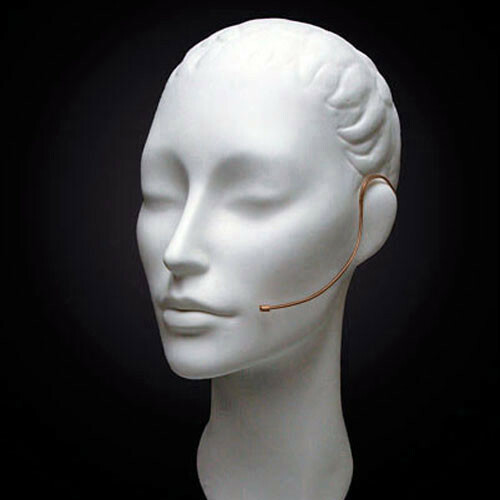 The cocoa E6i (4-Pin Hirose) from Countryman is a miniature, omnidirectional, earset condenser microphone designed for accurate voice reproduction (speaking and singing) and near-invisible appearance in theater, concerts, lectures, houses or worship, and more. It features a water- and wind-resistant capsule that delivers a 20 Hz to 20 kHz frequency response. The omnidirectional polar pattern picks up sound from all directions and should be used when feedback is not common. The 5’ detachable cable has a diameter of 1mm, and features a 4-pin Hirose connector for compatibility with specific* Audio-Technica transmitters. The E6i offers a flexible boom for versatile placement. The three protective caps yield different high-end frequency presence. The supplied windscreen protects the condenser element, and reduces plosives and wind noise. Cable clips and a carrying case are included. Note: *This E6i features a connector that is wired specifically for use with the Audio-Technica T35, T75, T211, T601, T1000, T1200, T4000, T5000 and T7000 transmitters only.